SMACRO is an at-home sperm test that enables secure analysis of sperm; including Concentration/Count, Morphology, and Motility. In the privacy of your own home, with the aide of our professional online support, male fertility is a less daunting question. 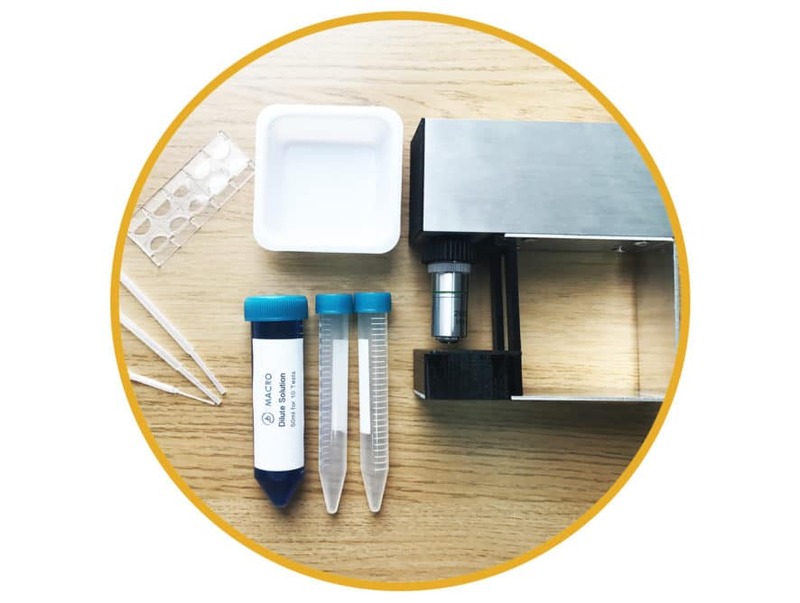 SMACRO combines the precision of professional optical microscopy with the ease of a smart device, to simplify the acquisition and analysis of your sperm. You will receive a 10 chambered slide for sperm observation, allowing for 10 individual tests and analyses to track your sperm health during fertility treatment. Optionally extended programs are available on our website.